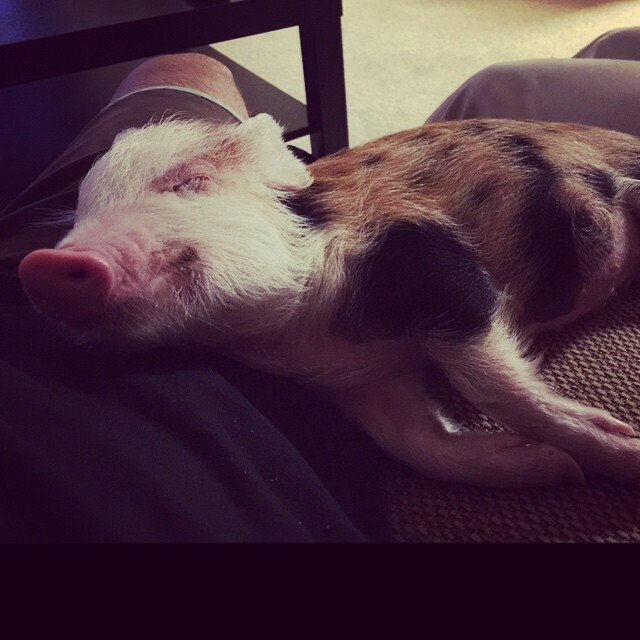 For the month of May we received a submission from Howard C. and his little mini-pig Olive! Olive is an absolute treat (and not in the way you think) around the house. Olive loves taking baths, playing hide and seek, and taking rides on the open water on the boat. She's 4 months old and just under 20 pounds. She's about as small as they come! She loves to hop on the couch and cuddle as you can tell. Before bed, Howard sometimes has to run around the house and have Olive chase her so she can get tired and go to sleep. Average pigs her breed get to about 30-40 lbs, but she was special and ran small. You may never think of a pig as a domestic pet, but Olive has plenty of love to give and gives all the pups and cats a run for their money. 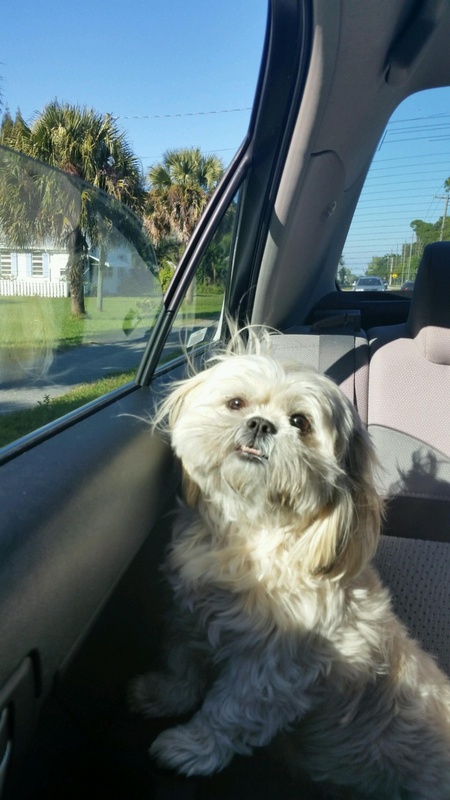 For April's Pet of the Month we chose Candice H's submission of Mochi, the cream-colored Shih-Tzu! Shih Tzu's are a toy breed originating as Tibetan guard dogs. The word Shih Tzu actually comes from the Chinese word for "lion dog", but Mochi is far from being a lion! Rescued from Orange County Animal Services, Mochi has to be the most mild mannered and loving dog you could meet. Going by "Mo", "Mopey", "Sniffles",and "Sad Eyes", Mochi will fill your heart with her big brown eyes and her cute stare. Though we don't know a whole lot about Mochi's past, we do know one thing: she is an absolute character. Her bark is so rare, you may have better luck seeing a shooting star in the daytime. She is an avid lover of walks and car rides, but sometimes gets frustrated when she steps on her ears when sniffing the grass. Getting a cute photo of Mochi is a rare feat, as if she sees a camera of a phone pointed her way she will disappear. The list of things she's not a fan of are water bottles, camera phones, and velcro. If any of those things come around, she'll be tucked in your lap looking for comfort pretty quickly. As a dog, Mochi is brilliant, loyal, and can be taken for walks without even being on a leash. She can sit, stay, lay down, high-five, shake, and even act like she's being shot if you make a "pew-pew" sound and point at her with finger-guns. Shih Tzus are an underrated breed, and I would highly suggest getting one if you live in an apartment! Mochi makes a house a home. She also has an instagram! Follow @sadeyesmochi for some upcoming cuteness. Pancho “Krazy” Man is medium to large size Havanese. Havanese are a small breed of dogs originating from Cuba and is one of the national dog types of the country. To be honest, I am not sure how the name Pancho came to fruition but he is funny, overwhelmingly intelligent, and outgoing. He is constantly getting into all kinds of trouble eating things he shouldn’t and sniffing around the backyard like a bloodhound looking for some kind of mischief to get in. A high energy dog at times (hints the name krazy man) and other times around nap time he can become quite grumpy. There is a long list of names that he goes by including but not limited to (often we yell them out in weird voices really loud as strange as that sounds); Krazy Man (because once a day he goes full speed around the house and sliding all over the place in a frantic as fast as you can run thing while looking at you like some krazy dog until he wears himself out), Gypsy Man (for all the random things that follow him in the house by means of his coat), Bunny Man (because he hops through the yard like exactly as a rabbit does trying to pounce on lizards), Creature Man (because his facial hair gets messed up and he looks like a creature from some distant planet). He barks at everything that walks by and like most dogs, absolutely despises the UPS man dressed in all brown and I am positive that if given the chance, he would rip the upper part of his ankles to shreds if he could. He also gives legitimate high fives believe it or not with his paw. He loves car rides and riding with his head out the window letting his long white hair glisten in the wind like he’s starring in a shampoo commercial. Overall, he brings great joy to our family and has been a true joy to be around. We couldn’t ask for more for a dog and encourage anyone looking at smaller-medium sized family dog, to definitely look into this breed. I know that we sure have been blessed to have him around and look forward to many more years in the future. For the last 8 years I've had the pleasure of spending what I call slobber time with Lennox Lewis, the Boxer. A lover of all things including his mom Elana, Lenny always seems to find joy in the small things. Since the beginning, he has been a momma's boy sticking by her side through thick and thin (almost like sixth sense). Whether it be running to greet the neighbor's dog at a full sprint in the backyard (barking frantically, hair standing straight up on his back) pretending to be some huge Doberman or chasing my nephew Jakey to a leap of faith into the deep end of the pool; Lenny is always a joy to be around. A true testament to what a dog should be in all sense of the word. Lennox is the type of dog you hope for when you embark on the journey of bringing a dog into your home. Lennox also loves his walks, his brother and sister, water gun fights, and chasing waves in the pool. Unfortunately, Lenny passed just recently and left us for a better place. I walk in the house now and eagerly await that bark and the taps from his feet on the hardwood floors and am only left with disappointed silence. Although he will be missed, we are all so happy we had the pleasure of spending so many wonderful years with him. To the late Lenny Lou Lou I say..... we miss you buddy and long live Lennox Lewis the Boxer. 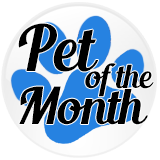 Want your pet to be considered for the Lake Nona of the Week? 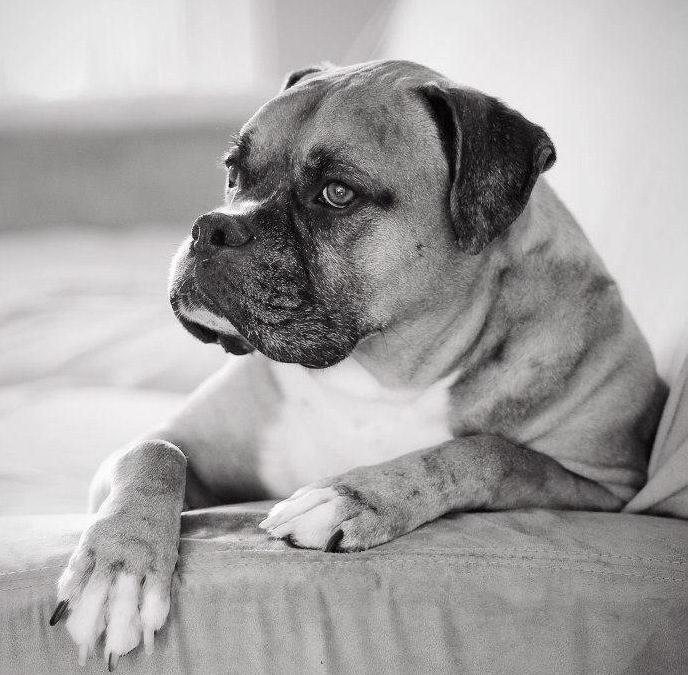 Email lns-support@teamibr.com with a 2-3 paragraph bio and at least 3-4 horizontally-oriented photos of your pet.